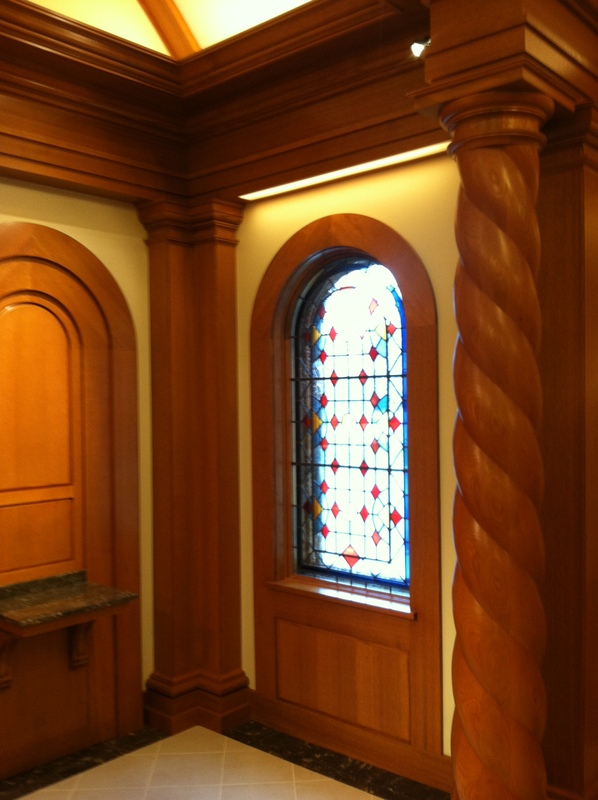 COLUMN DESIGN: Non-Tapered custom rope twist wood columns. 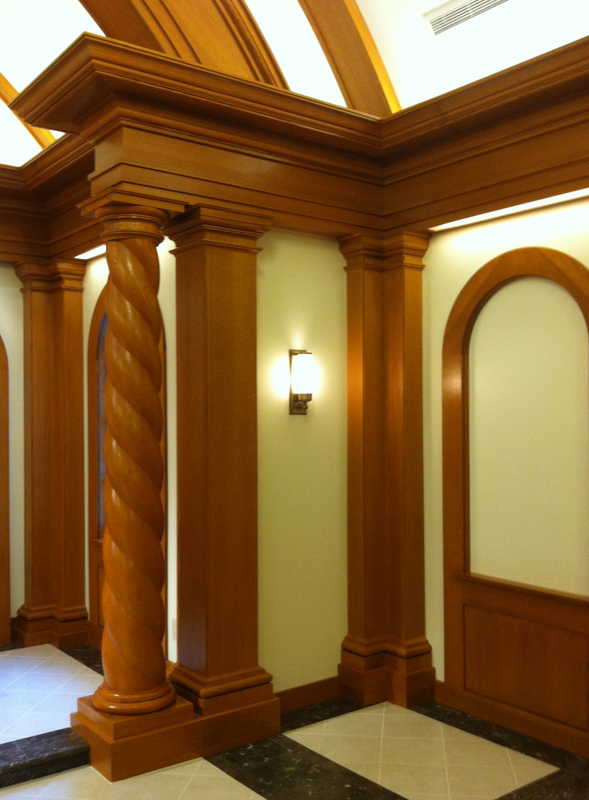 Custom Roman Doric capitals & Ionic (Attic) base moldings / plinths. 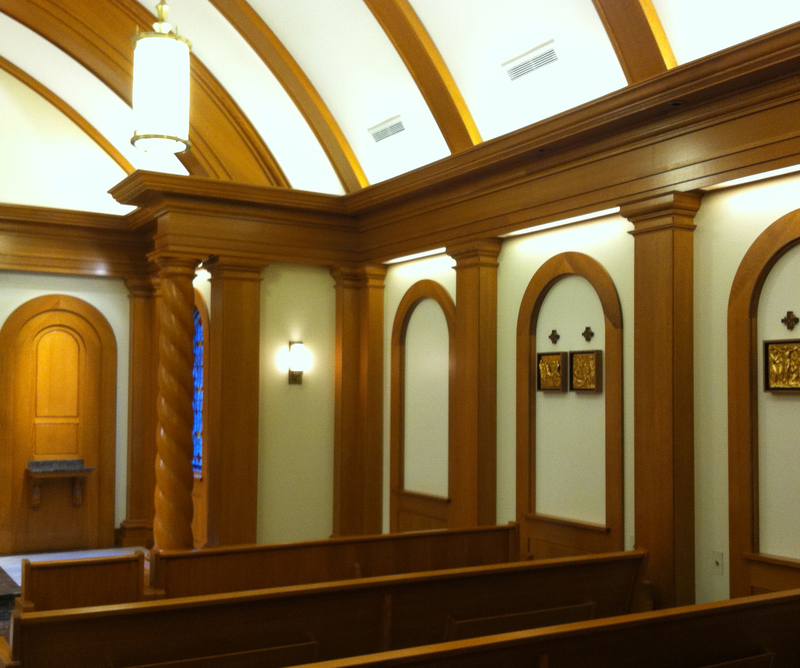 PROJECT COMMENTS: Chadsworth Columns provided custom rope twist wood stain-grade (white oak) columns that were utilized for the Darien Center Chapel in Elmburst, Illinois. 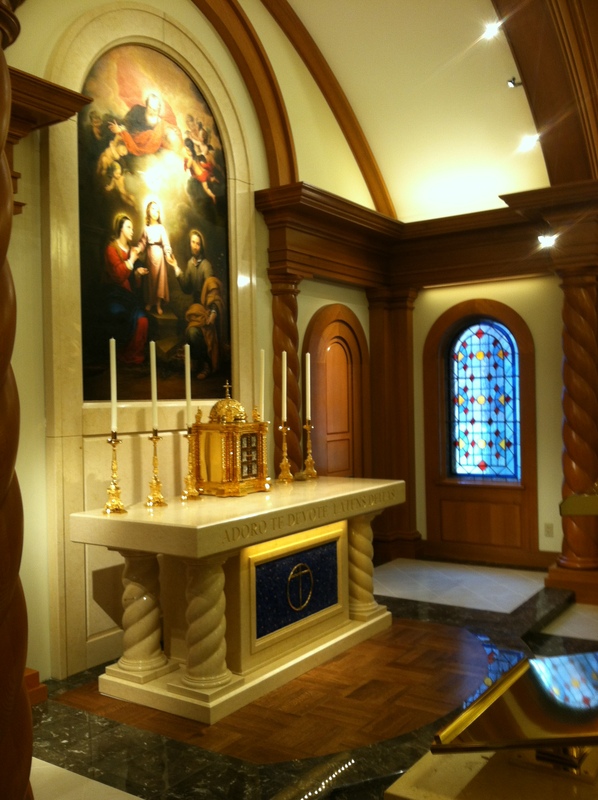 The project incorporated beautiful custom millwork, done by Inter Ocean Cabinet Company. 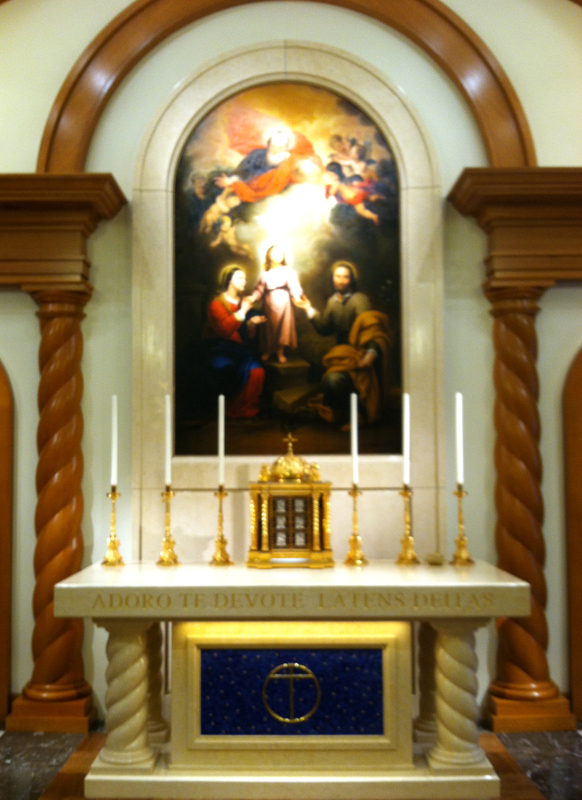 Chadsworth specializes in custom column work.